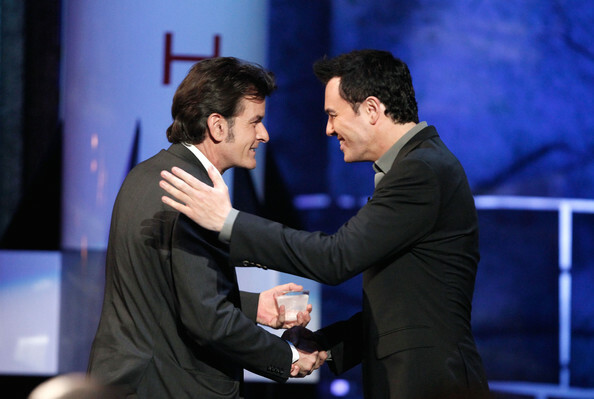 Seth MacFarlane & Charlie Sheen @ the Comedy Central Roast Of Charlie Sheen. Seth MacFarlane @ the Comedy Central Roast Of Charlie Sheen. Wallpaper and background images in the Seth MacFarlane club tagged: seth macfarlane charlie sheen comedy central roast of charlie sheen roast host september 10 2011. This Seth MacFarlane photo contains business suit. There might also be concert, well dressed person, suit, pants suit, and pantsuit.